My daughter dropped that little bombshell on me one day after she came home from school. “What kind of crap are they teaching you in that biology class of yours?” I grumbled. I did. It blew my mind. Once upon an extremely long-ago time, a certain hoofed animal ate all the leaves within easy reach. It then got into the habit of stretching its neck in order to eat leaves higher up. It passed along both the habit and an ever-so-slightly more elongated neck to its offspring. And lo, after untold generations of habit and inheritance, we now have giraffes in our midst. Lamarckism eventually gave way to Charles Darwin’s theory of Natural Selection. Alas, according to this new idea, giraffes did not develop long necks solely through exercise and effort—by willing it, so to speak. Instead, giraffes lucky enough to be longer-necked managed to survive and procreate in the life-or-death struggle to reach higher leaves. 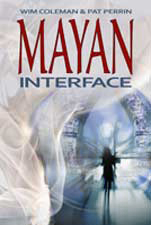 The process seemed (at least to thinkers like Shaw) to be intolerably random and mindless. 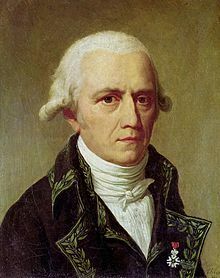 Nevertheless, Lamarckism was relegated to the dustbin of defunct ideas—or so it was long thought. the implications so far suggest that our lifestyles and what we eat, drink, and breathe may directly affect the genetic health of our progeny. 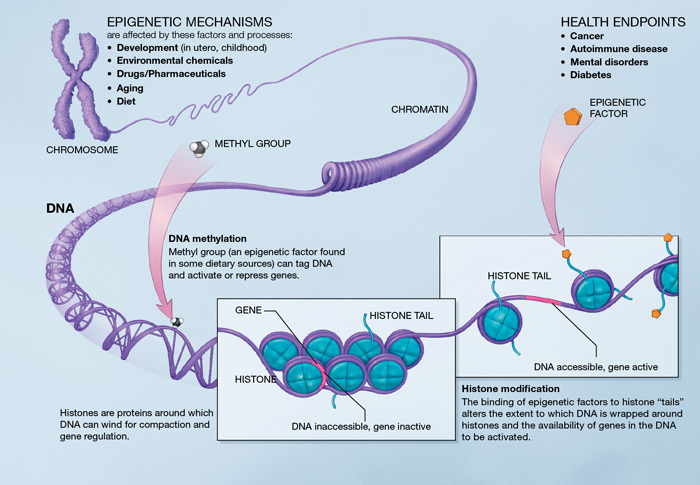 What’s more, epigenetics may well offer possibilities for treating obesity, cancer, diabetes, addiction, aging, mental disorders, and all sorts of other bugbears of the human condition. So has this new science given Lamarckism a new lease on life? There’s a lot of healthy skepticism out there. And I doubt that any serious epigeneticist is ready to claim that giraffes willed themselves into having longer necks. But epigenetics certainly looks like an inspiring plot point in the ever-evolving Story of life. This entry was posted in Thinking about story … and tagged Bernard Shaw, Charles Darwin, Jean-Baptiste Lamarck, Kara Rogers, Lamarckian evolution, Lamarckism, Natural Selection, Scientific American, Thinking about story.